A Tel-Aviv based robotics firm has come up with a drone launch system that can launch the unmanned craft, control their navigation via predetermined routes and land them safely - all with the minimum of human intervention. 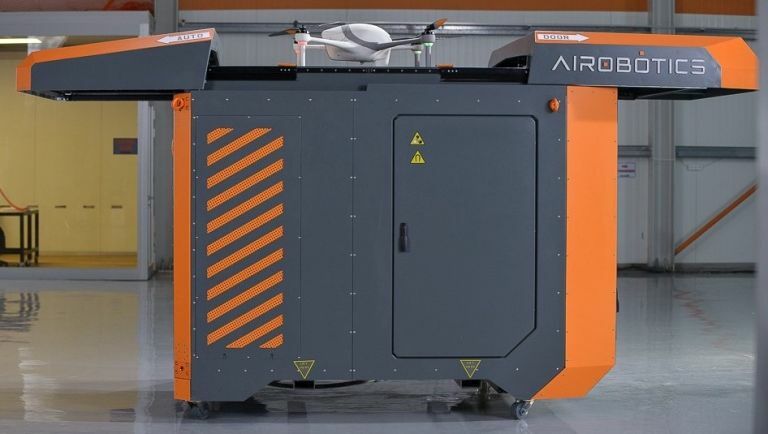 Airobotics is the UAV company behind the system, known as the Airbase, comprises of the launch system itself, the command software to control the drone and that all important 'Optimus' drone itself. The drone can carry up to 1kg of payload for a duration of 30 minutes (making it perfect for security runs) before automatically returning to its base station. Oh, did we mention Airobotics has even designed an automated arm that reaches out, removes the depleted battery on board the drone and replaces it with a fresh one? Yeah, it comes with a robotic arm that adds another important feature that pushes it towards almost total independence. All of its data and captured footage are also recorded so users can tweak routes and commands before leaving the Airbase to operate by itself. A system such as Airbase has huge potential in areas where dangerous or repetitive tasks call for an unmanned solution including agriculture and mining industries. Check out the video below for more info.